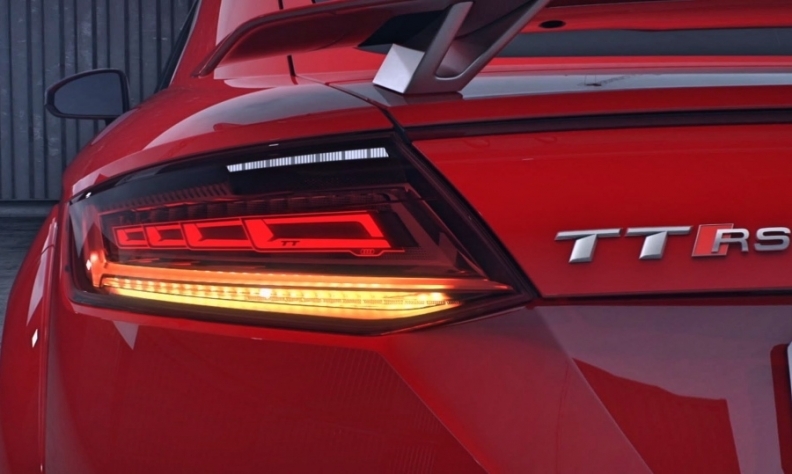 OLSA's unique OLED tail lamp on the Audi TT. Canadian parts giant Magna International Inc. is buying OLSA S.p.A., an Italian maker of automotive lighting products, for about C$354 million. Magna says the deal will make the company a global lighting supplier and expand its capability to design, engineer and manufacture headlamps, tail lamps and other lighting products. "Lighting represents a growth area for Magna due to increasing levels of electronics integration and a desire for automakers to differentiate their vehicles through styling," President of Magna Lighting John O'Hara said in a release. OLSA is based in Turin, Italy, and employs about 2,500 people. It has manufacturing facilties in Italy, Poland, Brazil, China and Mexico. With the acquisition of OLSA, Magna will have a total of 11 lighting manufacturing facilities and two engineering centres globally,"
Its customers include the Volkswagen Group, the BMW Group, Daimler and FCA. OLSA did C$372 in sales in 2017. Pending regulatory approval and other standard closing conditions, the deal is expected to be finalized before the end of 2018.